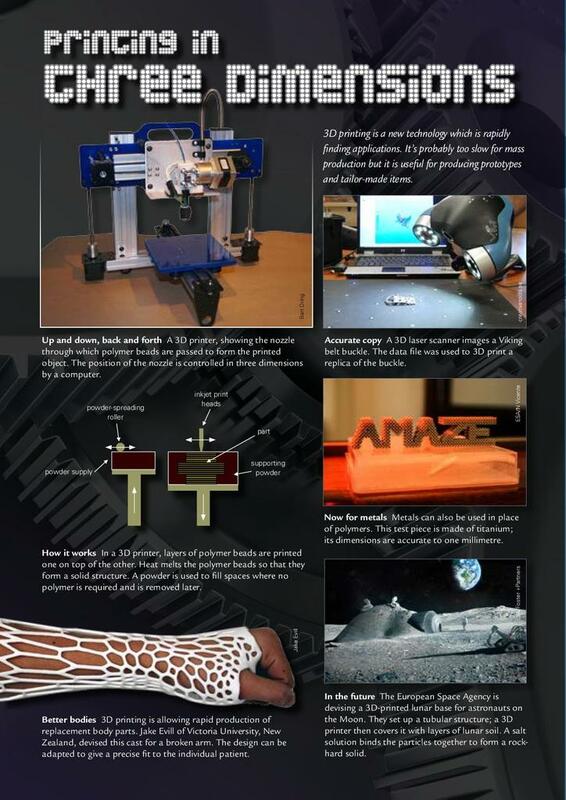 This Catalyst article looks at 3D printing, a new technology which is rapidly finding applications. Although probably too slow for mass production it is useful for producing prototypes and tailor-made items. In a 3D printer, layers of polymer beads are printed one on top of the other. Heat melts the polymer beads so that they form a solid structure. A powder is used to fill spaces where no polymer is required and is removed later. This article is from Catalyst: Secondary Science Review 2013, Volume 24, Issue 2.